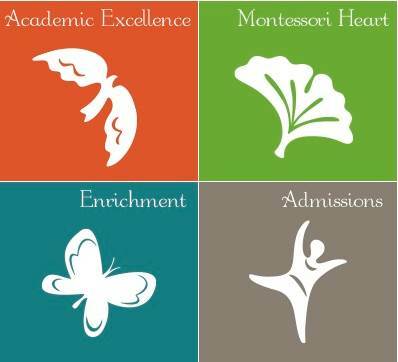 New School Montessori parents are invited to attend a 2-hour presentation about positive discipline for children. The event will be held in the Growing Room. Childcare for TNSM-aged children will be provided. RSVP to Jeff Groh by July 27. On Sunday, Aug 12th TNSM will be bringing in a talented presenter for our New School parents to hear about a new program we are implementing at TNSM. “Positive Discipline in the Montessori Classroom”. Positive Discipline is based on the work of Alfred Adler and Rudolf Dreikus, both contemporaries of Maria Montessori, and is designed to teach adults how to create an environment where young people learn to become responsible, respectful and resourceful members of their communities. Based on the best selling Positive Discipline books by Dr. Jane Nelsen, it teaches important social and life skills in a manner that is deeply respectful and encouraging for both children and adults. All teaching staff will be participating in two full-day workshops on Aug. 13th and 14th. Parents are invited (and strongly encouraged) to attend the Parent Education night on Aug. 12th in the Growing Room from 6:00 to 8:00. We will provide childcare. Not only will this workshop be a wonderful introduction to how TNSM approaches positive culture building within the classroom, but it will help build a bridge between home and school concerning conflict resolution techniques that many parents will find helpful. For preprimary students who have not attended TNSM before, we are offering 2 days of orientation for them to grow more familiar with the routines and rhythms of their new Montessori classrooms. Students are required to attend both days. Following their orientation, their next day of school is Wednesday, August 22 when school begins. You are welcome to enter the classroom as early as 8:30 with your child. We ask that you spend 10 to 15 minutes doing a work with your child before teachers begin their orientation with students around 8:45. On Monday, August 20 parents are to stay for a parent orientation in the Growing Room at 8:45 a.m. It will be over on or before 9:15 a.m.